Join Mable Elmore with guests including environmentalist Sven Biggs. Learn more about Mable’s commitment to oppose the proposed pipeline expansion and the need to grow Canada’s renewable energy sector. 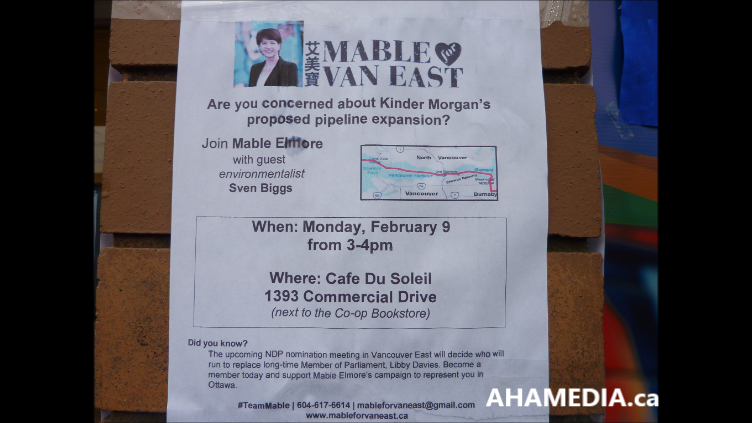 Mable Elmore believes Vancouver East needs a strong voice to speak out unequivocally against the Kinder Morgan pipeline plan, and that there is overwhelming evidence to show the risks far outweigh any benefit for our community. Mable understands the need for urgent action on climate change and investment in Canada’s growing renewable energy sector. 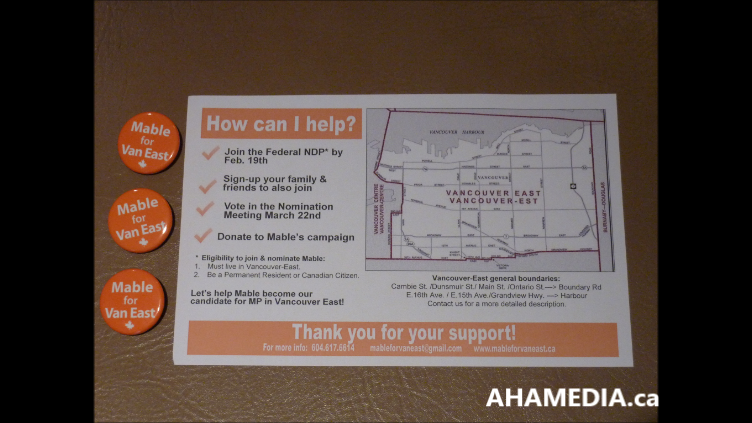 As some of you might be aware, Mable Elmore – MLA for Vancouver-Kensington NDP—is now seeking the NDP nomination to become the next federal MP for Vancouver East. 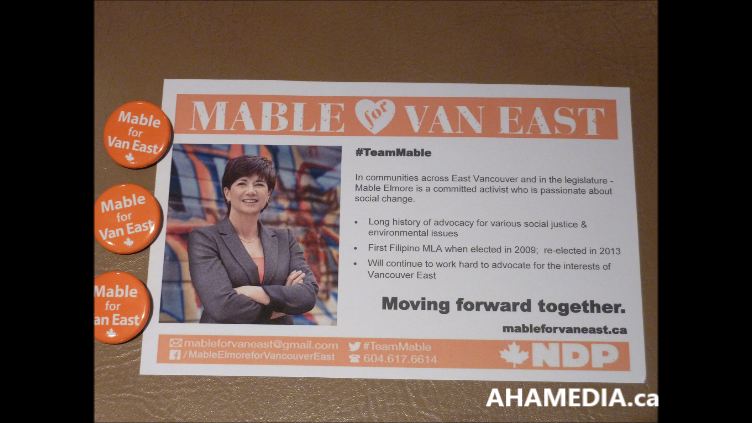 Mable is deeply committed to social justice and proactive governance. 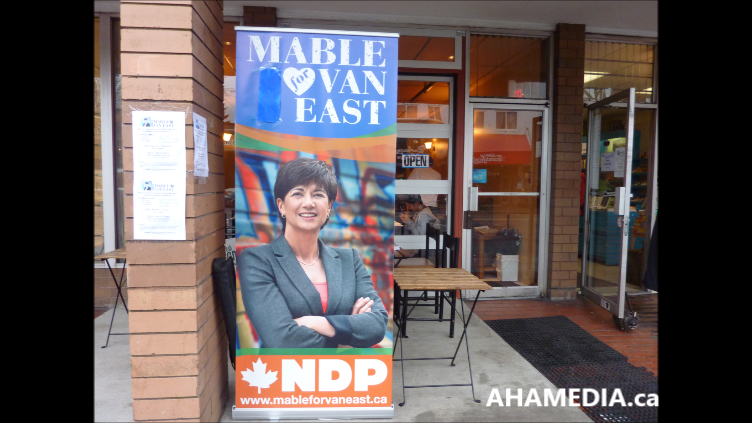 Mable also has a sincere commitment to getting young and new people involved in the political process.